Live The Language is a Mandarin school in Beijing, and it`s also the only school which focuses on immersion learning in China so far. Andreas is the founder and he has always believed in his teaching methodology of immersion learning, which is just like their name: Live the Language. He decided to open this school because he saw that lots of foreigners struggled a lot with learning Mandarin, and he was one of them. 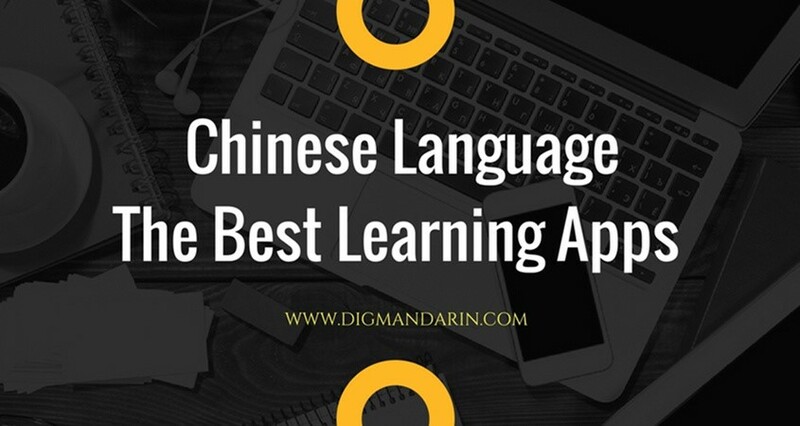 The biggest problem when leanring Mandarin is not even learning the language, but immersing yourself into a Chinese language and culture environment. In their Home Stay program, the only language you can use is Chinese. This “sink-or-swim” method might be a bit scary. Before this talk with Andreas, I also talked with one of their students, Jay, who has graduated from the LTL program. He really spoke highly of this school and their Home Stay program. I was curious about it and wondered how it is going on? CJ:Could you please introduce your program, your package, to us? Andreas: We basically have two programs. One is a general program in Beijing. Now, in Beijing, we have a school in the Central Business District. We don’t have a huge school, because we want to have a bit of a personal service with small groups. And our focus in Beijing is home stays, because I learned very well when I was learning Mandarin that where I made the most important step to becoming fluent was not in the classroom. 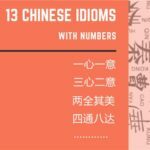 You need to be in a situation where the other person doesn’t speak any English, so you need to use Mandarin in all situations. And so, Home Stays are very important for us. That’s, for me, the main part of the program. Then, the other part is where we have very small classes in Beijing. Either more classes or small classes, so our class has a maximum of six students per class, and I think that’s really the biggest you should have. Anything above that is simply not good for learning. So, this is the idea in Beijing. Small group classes and Home Stays. CJ: What is the Home Stay program? Can you explain more? Andreas: It`s a full immersion program. The students will live with a Chinese family and in a no-English environment. This program base is in Chengde. It is about two hours Northeast of Beijing. It’s a very beautiful city because you have USECO World Heritage sites there. It’s much smaller than Beijing. The pace of life is much slower. And nobody in Chengde speaks English. So, you will speak only Mandarin. And not only just Mandarin, because it is probably one of the cities in all of China with the best Mandarin pronunciation. And there are no foreigners around, so you will not be speaking English around there. So, people live with Home Stay families. There are no other options. All classes are one-on-one. We do not want students to be in a class together, because if students are in class together, then there are other foreigners, and they will speak English to each other again. They live with their Chinese teachers, with their Chinese friends, and they speak, dream, and live Mandarin 24/7. It’s the whole time through. You never speak another language. 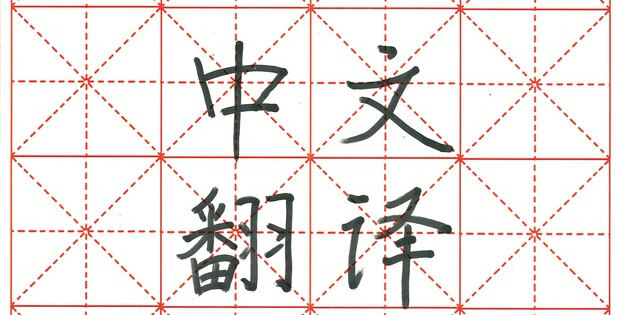 So, really, Mandarin becomes a part of your life. It’s your daily language. 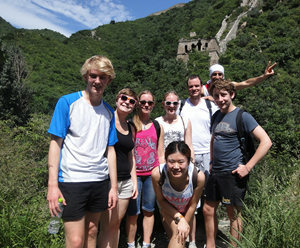 We also organize activities for people with Chinese friends. So, for example, if you like hiking, we’ll ask for you to go on a hiking trip with a Chinese group, or if you like badminton, we find a badminton club for you. There’re a lot of things you can do in Chengde. In the winter, you can go skiing. But this is all Chinese. 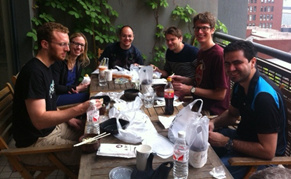 You never do this with other foreigners, so you are forced to be part of Chinese culture and it becomes natural to you. As you can see, the progress of students in Mandarin is phenomenal. They progress so much faster than anyone else. I mean, we have students in Beijing that you get from zero to fluent in seven months. CJ: So, your school mainly focuses on training spoken Chinese, but reading and writing, right? Andreas: We do teach Mandarin and teach Chinese characters, of course, but our focus is always on spoken. 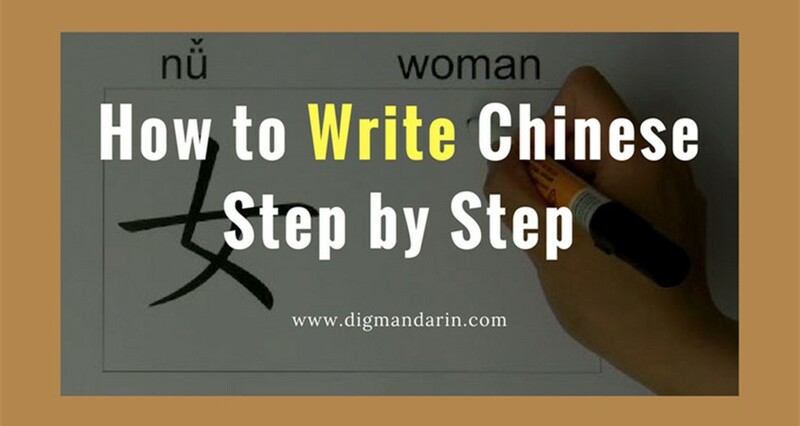 We also train reading and writing, of course, because if you want to learn Mandarin – let’s say up to intermediate level – you could do it without characters, but beyond intermediate level, you cannot learn Mandarin without characters. So we teach both of them together. 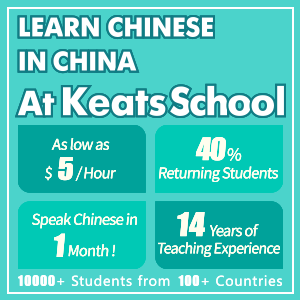 Our focus is of course on spoken Mandarin. 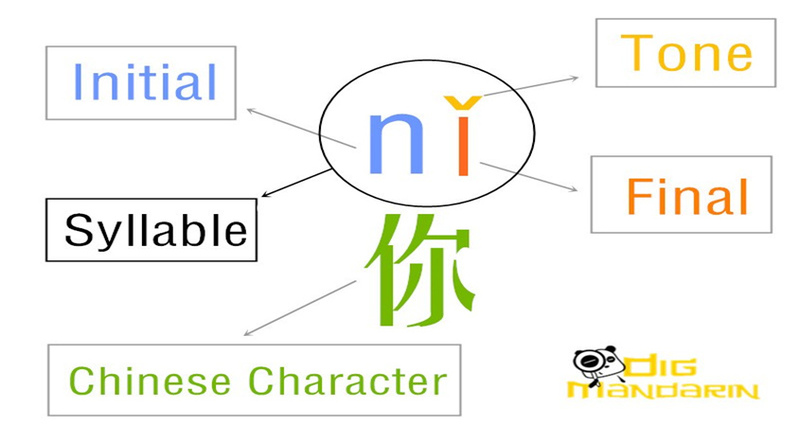 Our aim is to help people to speak Mandarin, but you need Chinese characters if you want to get to fluency. It’s not something you choose. 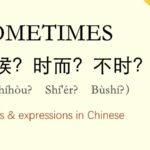 So, we do teach Chinese characters. 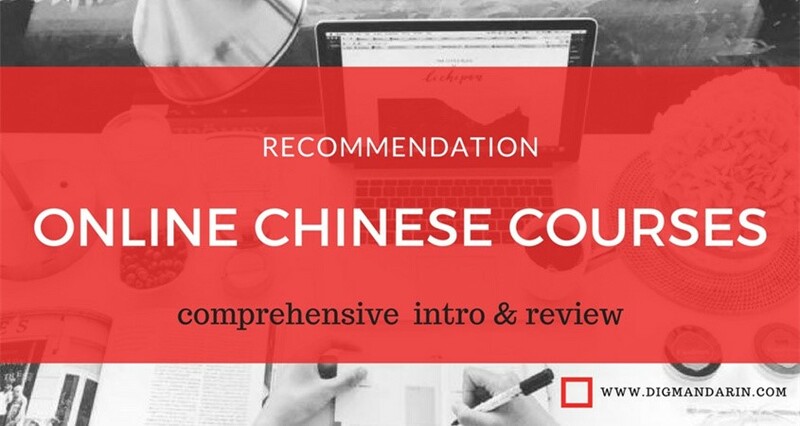 There are some people, of course, with our one-on-one classes, for example (we do very tailered courses), who just want to learn some Chinese, maybe for travelling around China for a few weeks or something like this. Now, for these people, you can leave Chinese characters out, but most of the people who study at our school are very serious about learning Mandarin. They do want to be able to speak fluent Mandarin. CJ: But in the Home Stay, they will just practice their spoken Chinese, not Chinese characters. 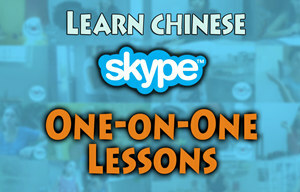 Will they learn the Chinese characters in their group class or one-on-one class? Andreas: Yeah, also it’s very important how you learn Chinese characters. 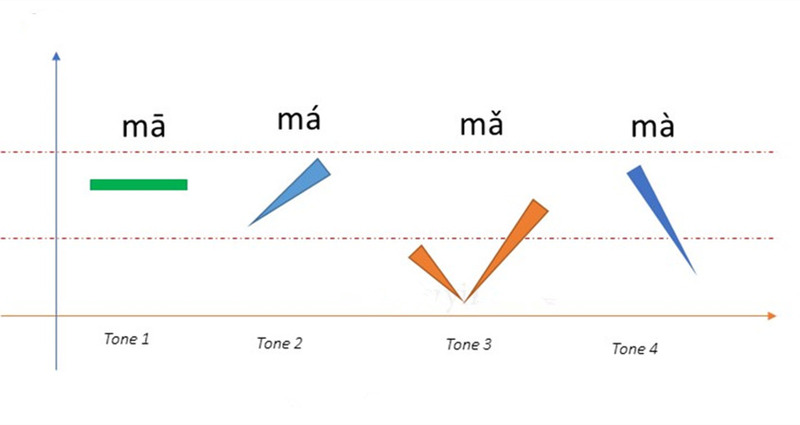 So, you need to understand where the radicals come from, and then you break the characters apart and you understand the system behind it, because Chinese characters are actually not as difficult as most people think. So, this is taught to you in class. I mean, we try to help our students as well in Home Stays. You see the Chinese characters with the object everywhere, because you need to see characters again and again and again and again. It’s a lot of repetition that’s important. CJ: So, how many students are there in your school in total now? Andreas: At this moment, maybe one to two hundred. But that includes students who study part-time. So, people study every day at the school; it’s probably a little bit less. They came from all over the world. So, in their group lesson, they have a very international environment. One group class is a maximum of six people. CJ: How long do students stay with a Chinese family? Andreas: Well, for as long as they stay. They stay for two weeks or they stay for one year. But actually, you don’t usually need one year. If you stay in a Home Stay family and you study hard, after seven, eight, or nine months, you are fluent. You don’t need to do it anymore. But, you can stay as long as you want, of course. They could choose. Also, if some people come for a long time, maybe they will live with the Home Stay family for the first three months, and then, because they want to have a little bit more freedom, they move somewhere else. The courses are very flexible; we start courses every two to three weeks. So, you can really start at any point of the year and you can continue for as long as you want. CJ: What if the student can’t adapt to the life in the Home Stay? CJ: How do you select the Home Stay family? Andreas: Very strict. We of course go over there. We talk to them. We interview them. We look at the apartments, of course, to make sure they’re all right. 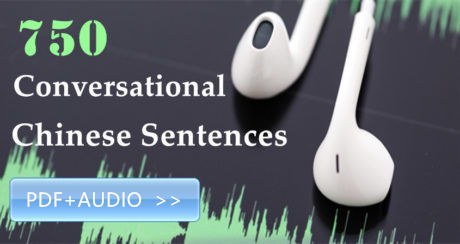 We talk to them; find out if they speak English. 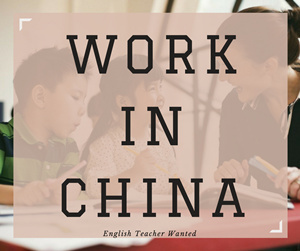 You know, some Home Stays families say: “I would like to do Home Stay and the student should teach my child English,” and this is not suitable at all, of course, because our students—they should learn Mandarin. They’re not English language teachers. So, we talk to them a lot. Obviously, the Home Stay families today are experienced. You have to do it for a long, long time. We’ve been doing Home Stays for five years, and this is our specialty. CJ: I also saw there is a choice that the student can also teach in the Home Stay family. What is that? Just like an English Home Stay tutor? Andreas: Yes. So, there you teach English while living in a family, and in return you get the Home Stay cheaper. Now, this is an option. I personally don’t think this is very good for improving your Mandarin, because teaching English means that your brain focuses on speaking English a lot. And in the family, you end up speaking a lot of English as opposed to Mandarin, and that’s not good for your Chinese progress, but it makes it cheaper. That’s the only advantage. CJ: Do you have any tips about learning Chinese? Can you share with our readers? Andreas: If you are not in China, all right, then it is more difficult, but you can still immerse yourself. The first thing is to find Chinese University exchange students around your hometown and speak with them. Find people who can’t speak English, or whatever your language is, and speak with them. 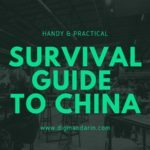 Try to find Mandarin speakers and get into that culture, even before you come to China. Also, surround yourself with Mandarin. So, when I studied Mandarin, in my home, I had stickers with Chinese characters on every single piece of furniture. So, I would see characters, so I was surrounded by characters the whole time. Once you are in China, do not speak English. Try not to speak English as much as possible. And this sounds simple, but it is not, because we are naturally lazy and we will speak English if we’re given an opportunity. Don’t get into that situation where you speak a lot of English. Get out of there. If they’re Chinese people and they speak very good English and they want to talk to you, go away. Find people who don’t speak English. And there are so many people in China who don’t speak English, so it’s not a problem. 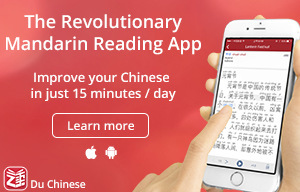 Immerse yourself into Mandarin. Speak it the whole time and enjoy it. I mean, you need to enjoy Mandarin because Chinese is difficult, so you need to love China. You need to have a good time here. It needs to be part of your daily life. You need to find fun things. Have fun. Enjoy it, but all Mandarin. No English. After I talked to Andreas and knew the program better. I was impressed by his passion and ambition in Mandarin education. Maybe this is just a start of a language education experiment. 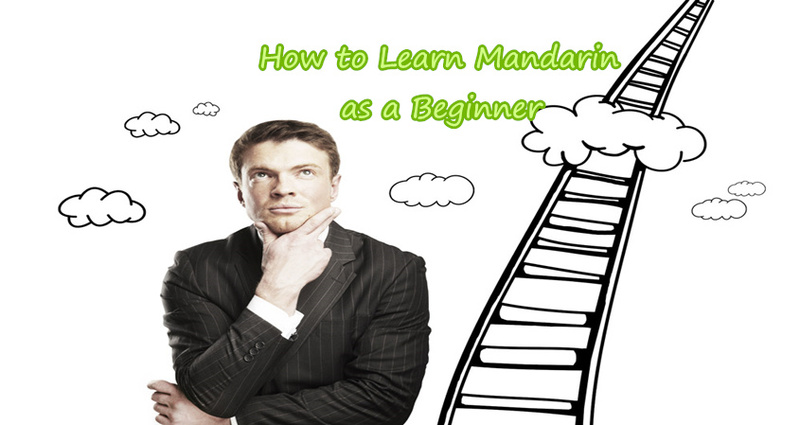 It`s a new view for Mandarin Chinese learning, even if it`s already quite popular abroad. Andreas and his Live the Language School are working so hard for it. Now they want to start a new branch of the school in Shanghai. Let`s look forward to the new one and see what will happen next. Your last sentence is the one I live by! Motivation and passion are keys to successful language learning, be it Chinese or any other. Naturally immersion environments help a lot both with motivation and further study, as you study all day long as a result, both because you have to and because you want to. You want to understand more of what people are saying, and you want to say more things to them! And after a while, you realize that the amount of things you understand exceed the amount of things you do not (in most contexts of the language). Hanbridge Mandarin has a fantastic learning compound where students take class and live alongside their Chinese teachers. This gives students countless opportunities to keep learning even outside of the classroom. The sense of community at Hanbridge Mandarin is astounding and their one-on-one teaching style enables the teachers to really tailor the lesson to the student, which is extremely important when learning a language like Mandarin.